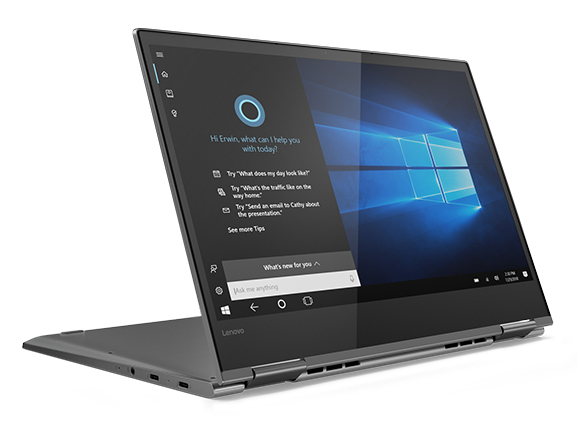 The aluminum metal chassis looks similar to the Yoga 720 15’s and uses the same 360 degrees hinge. When compared to the predecessor, the top screen edge is slanted rather than flat now and the display frame was slightly shrunk. The brushed metal finish is available in Platinum or Iron Grey. www.techadvisor.co.uk finds that there is a fairly premium feel to the whole machine. 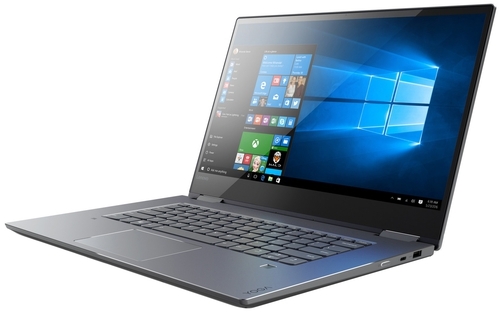 The Lenovo Yoga 720 15 was easy to access. As there are hardly any changes to the design, you can assume that the same holds true for the Yoga 730 15. The 8 GB of RAM this model comes with are soldered. Models with 16 GB RAM have an additional 8 GB DIMM. Hence, users should have access to the M.2 SSD and one RAM slot after prying off the bottom panel – as they did in the predecessor. 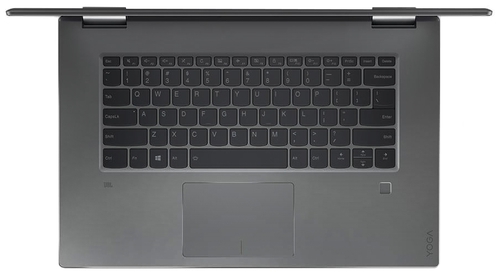 Lenovo specifies a weight from 1.89 kg and a size of 360 x 249 x 17.15 mm (14.2 x 9.8 x 0.67 inch). The integrated fingerprint reader supports Windows Hello. Lenovo has built in four far-field microphones and supports two voice assistants. You can choose whether you want to talk to Alexa or Cortana. In www.techadvisor.co.uk’s testing the laptop did a good job of picking up their voice, and the built-in Alexa app let them access all the usual Alexa commands and skills. Web research revealed that input devices and speakers are very similar to the Yoga 720 15’ model. In www.techadvisor.co.uk’s opinion the keyboard is comfortable to use, yet not the best around. For them the keys feature a nice travel and are not too clicky. Our review of the Yoga 730 15 model (UHD display) refers to our Yoga 720 review, which confirms that the Chiclet keyboard is great to type on. The keyboard’s two-stage white backlight is helpful in dark environments. www.techadvisor.co.uk thinks the trackpad is also large, and fairly responsive. Our Yoga 720 review finds that it works accurately. 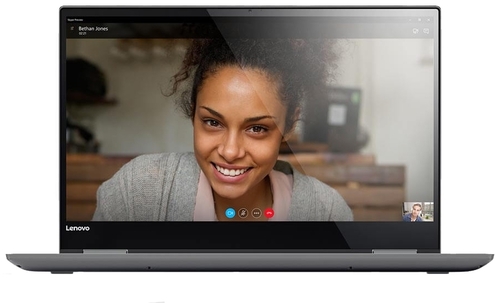 The touchscreen supports Lenovo’s Active Pen 2, which is sold separately according to Lenovo’s website. It features 4,096 levels of pen sensitivity. I did not find information about how well the 15-inch Full HD touchscreen works. Apparently, neither the Yoga 720 nor the Yoga 730 15 UHD had issues in this regard. www.techadvisor.co.uk tested the Y730 15 inch at the MWC 2018 and finds that the display is fairly glossy and reflective. The IPS technology should ensure wide viewing angles. As of August 2018 further information about the display of the 15-inch Full HD model is not available. None of the on-line magazines used as source for this article (see sources) had this particular model under review. With Intel’s Core i7-8550U, the laptop features a Kaby Lake Refresh CPU (8th generation). The quad-core CPU features a base clock of 1.8 GHz. It should deliver enough performance for all modern usage scenarios. In our Lenovo Yoga 730-15IKB (i7-8550U, GTX 1050, SSD, 4K) test sample the CPU could utilize its Turbo Boost functionality over an extended period of time. The NVMe should ensure fast booting and program starts. The Nvidia GTX 1050 is an upper mid-range graphics card based on the Pascal architecture. The Lenovo Yoga 730-15IKB (i7-8550U, GTX 1050, SSD, 4K) sibling achieved 3DMark results on the normal level, yet fell slightly behind other GTX 1050-based notebooks. Thanks to Nvidia’s Optimus technology, the convertible can automatically switch between its dedicated GPU and the integrated UHD Graphics 620 in order to save energy. The Yoga 730 15 comes with a 3 cell Li-Polymer 51.5 Wh battery. Lenovo claims up to 11 hours for the FHD model and up to 9 hours for the UHD model. 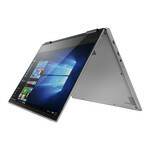 According to www.trustedreviews.com the Yoga 730 models support Rapid Charging. The Lenovo Yoga 730-15IKB (i7-8550U, GTX 1050, SSD, 4K) sibling achieved a runtime of 6 h 10 m in Notebookcheck’s Wi-Fi test. Full HD models usually last longer than (almost) identically equipped 4K counterparts. 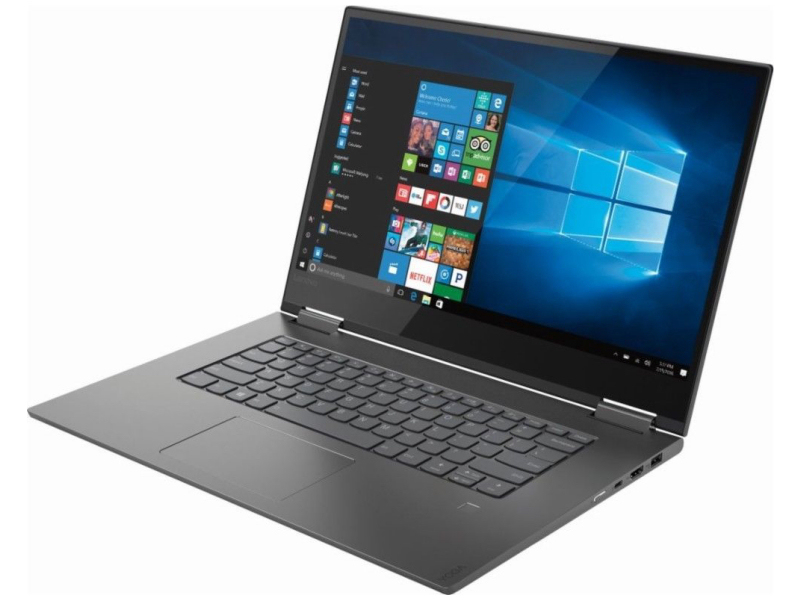 The Lenovo Yoga 730-15IKB (i7-8550U, GTX 1050, SSD, 4K) sibling did not become excessively hot and produced normal amount of noise for a convertible with a dedicated GPU. Chances are that the Full HD model does not behave very different. 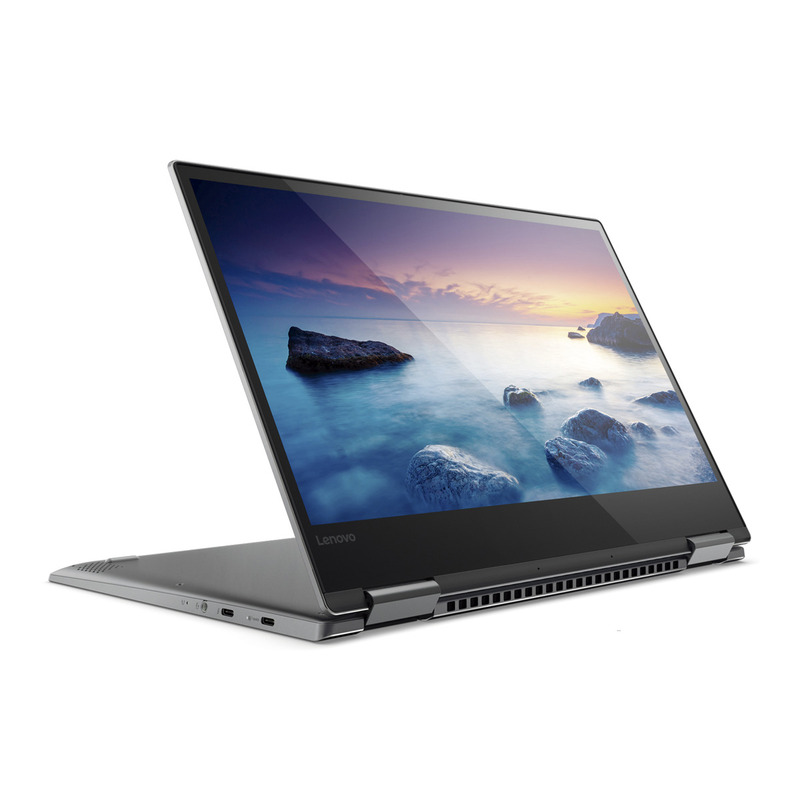 The Lenovo Yoga 730 15 features JBL speakers, and Dolby Atmos technology. They are similar to the Lenovo Yoga 720 15’s, which proved to be well suited to media consumption and created full, well-balanced sound. The Lenovo Yoga 730 15 convertible delivers up-to-date hardware, a solid, high-quality case, and a backlit keyboard. It is only a minor upgrade to the Yoga 720. Support of Alexa could be a special feature. If you buy a Full HD model, you can expect a longer battery life than a UHD model’s with otherwise identical hardware. It is questionable whether you can really profit from UHD anyway except for higher sharpness. After all, the Nvidia GeForce GTX 1050 quickly reaches its limits in for example demanding games beyond Full HD resolution. Alternatives include the Acer Nitro 5 Spin (~ $ 1,100 for Intel Core i7-8550U, 8 GB, Nvidia GeForce GTX 1050 4 GB, 1 TB HDD + 256 GB SSD, Full HD), the HP Envy x360 15 (~ € 1,000 for Intel Core i5-8250U, 8 GB, weaker Nvidia GeForce MX150, 1 TB HDD, 256 GB SSD), and the ASUS VivoBook Flip 15 (~ € 900 for Intel Core i5-8250U, 8 GB RAM, weaker, last-gen GeForce 940MX, 1 TB HDD + 128 GB SSD). You might also want to consider the much more expensive Dell XPS 15 2-in-1 9575 2018 (~ € 2000 for Intel Core i7-8705G, 8 GB, AMD Radeon RX Vega M GL, 512GB M.2 PCIe). Positive: Great built quality; elegant design; good ergonomy; nice display; fast fingerprint sensor. Negative: No microSD slot; overheats while using; mediocre speakers; high price. Positive: Solid workmanship; light weight; high portability; thin frame; bright screen; good performance; decent connectivity. Negative: Limited upgrade capabilities. Positive: Fast system; good cooling and silent system; metal case; backlit keys; fast fingerprint sensor; nice display; long battery life. Negative: No memory card slot. Positive: Big screen; good price; decent hardware; elegant design; smart stylus pen. 8250U: Kaby-Lake-Refresh based low power quad-core processor. The four cores are clocked between 1.6 and 3.4 GHz (Turbo Boost) and support HyperThreading. The integrated GPU is clocked between 300 and 1,100 MHz. The SoC is manufactured in a 14nm+ FinFET process. 8265U: Whiskey Lake based low power quad-core processor (technically identical to Kaby Lake but produced in a further improved 14nm++ process). The four cores are clocked between 1.6 and 3.9 GHz (Turbo Boost) and support HyperThreading.Intel Core i7: The Intel Core i7 for laptops is based on the LG1156 Core i5/i7 CPU for desktops. The base clock speed of the CPUs is relatively low, but because of a huge Turbo mode, the cores can dynamically overclock to up to 3.2 GHz (920XM). Therefore, the CPU can be as fast as high clocked dual-core CPUs (using single threaded applications) but still offer the advantage of 4 cores. Because of the large TDP of 45 W / 55 W, the CPU is only intended for large laptops. 81.13%: This rating should be considered to be average. This is because the proportion of notebooks which have a higher rating is approximately equal to the proportion which have a lower rating.» Further information can be found in our Notebook Purchase Guide.